What's the purpose of a bucket list? Do you create one? Honestly I haven't... until now. This bucket list has everything I am passionate about: my work, my family and enjoying life. 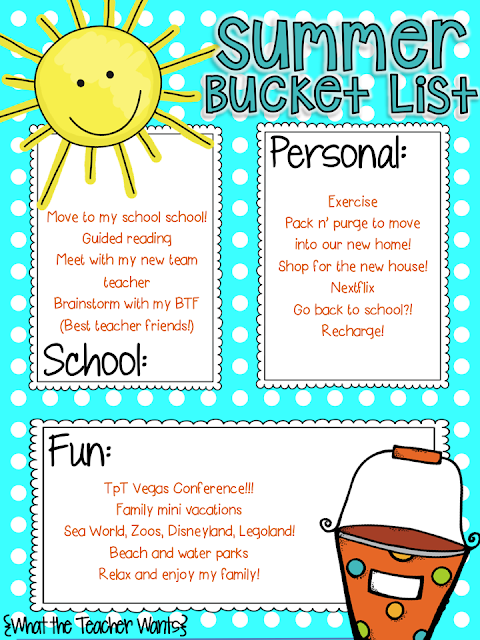 So, I have joined What the Teacher Wants to bring you my summer bucket list 2015! Click on the button below and join the fun! First of all, I am extremely excited to be moving to a new school site. Well, it may not be so new to me. Almost four years ago I was placed in the classroom I will be teaching as part of my grad school education internship. I always felt welcomed and respected by the teachers, and I am glad to go back where everything started! I have tons of ideas for this upcoming school year (I haven't even finish this one yet ;) #teacherproblems. Well, I always do! Guided reading is something I want to implement in my new classroom. 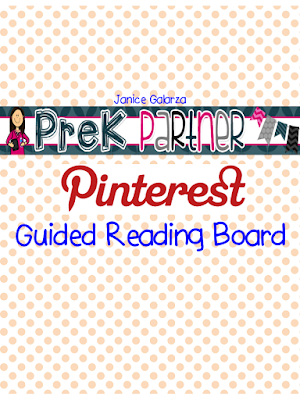 If you follow me on Pinterest you can definitely see all of my research pins about guided reading. 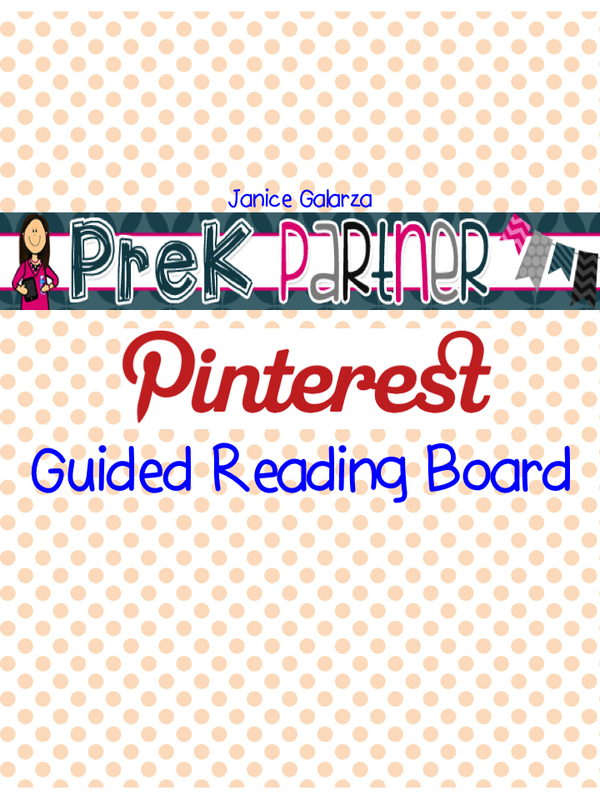 Click HERE to follow my Guided Reading Board! We just purchased a new home and will be moving in August. In the meantime, I plant to pack (ahead of time) and purge what we don't need to make room for new stuff....does that make sense?! I also plan to do some research on colleges. I would like to take a few more courses I need to further my education. I will be attending the TpT conference in Vegas this summer! We will also be visiting parks amusements and water parks this summer. And just relax and spend time with my girlies! If you read the other bucket lists, you will see that over half of us are trying to sell houses/moving this summer! Isn't that just like a teacher to put everything possible off to the summer months so that we don't have to miss school? You are completely right! We put off everything for summer, when we are supposed to relax and get ready for next year!